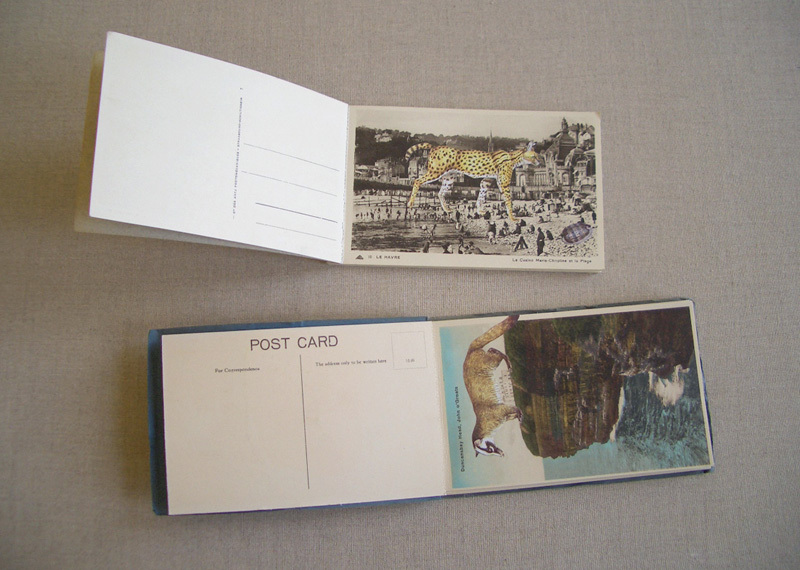 Two artists' books of single-colour, postcard images filled with new yet familiar inhabitants, exhibited as part of But for the moon nobody could see us (2008). 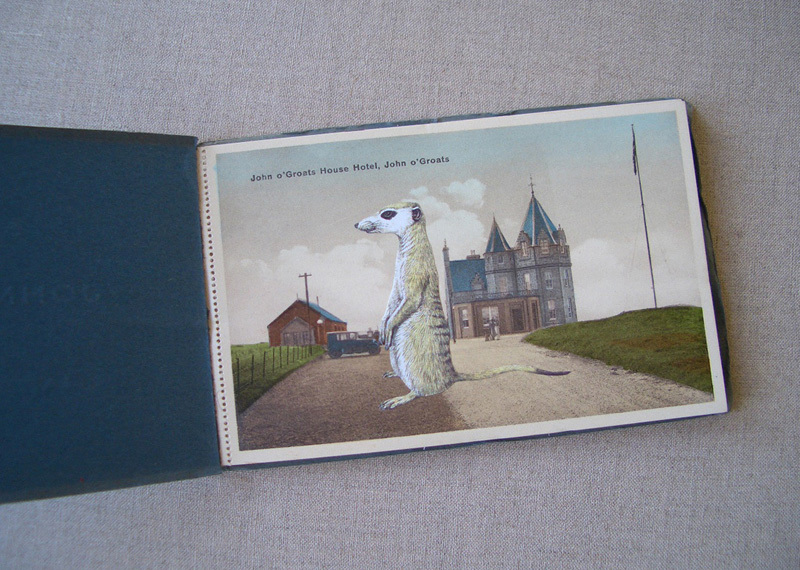 Le Havre: Just passing through in its original state was a gift from Carolyn Fraser in 2007. It proved the perfect base on which to play. 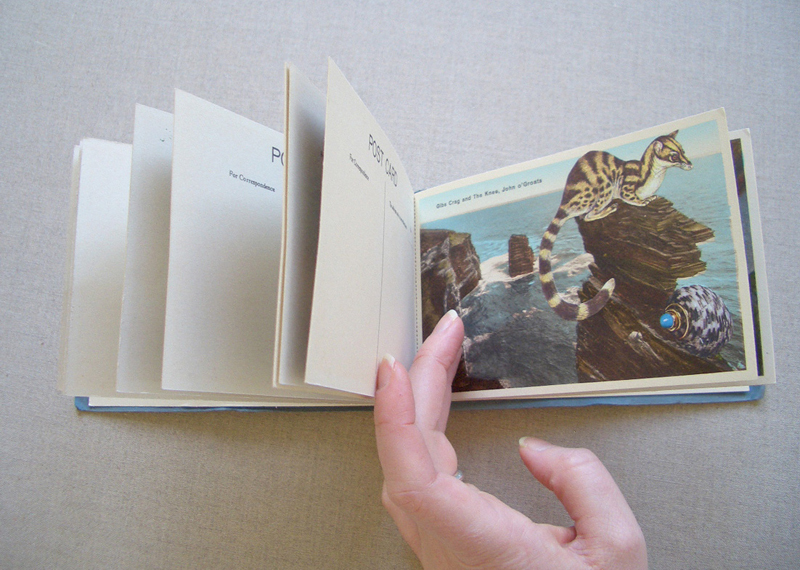 Both artists' book from this 'Passing through' series are in the collection of Monash University Library, alongside the first in the series, Rouen: Just passing through. Setting up. Set up. In place. Done.